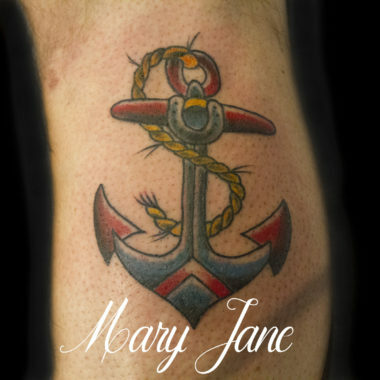 Mary Jane was born right here in North Carolina. Her Mother was an artist who worked with many different mediums and instilled the importance of creativity in her. 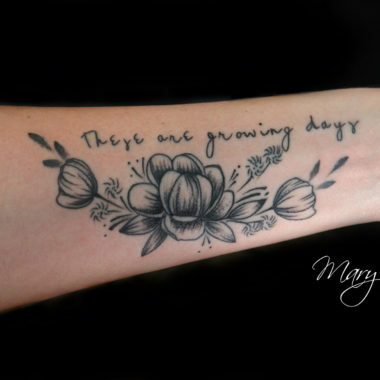 She started in the tattoo industry working the front desk until she proved she was worthy to start her apprenticeship. She learned to pierce and labored for years honing her craft. She’s a true “earn your stripes” story. She worked long and hard to obtain her skillset! 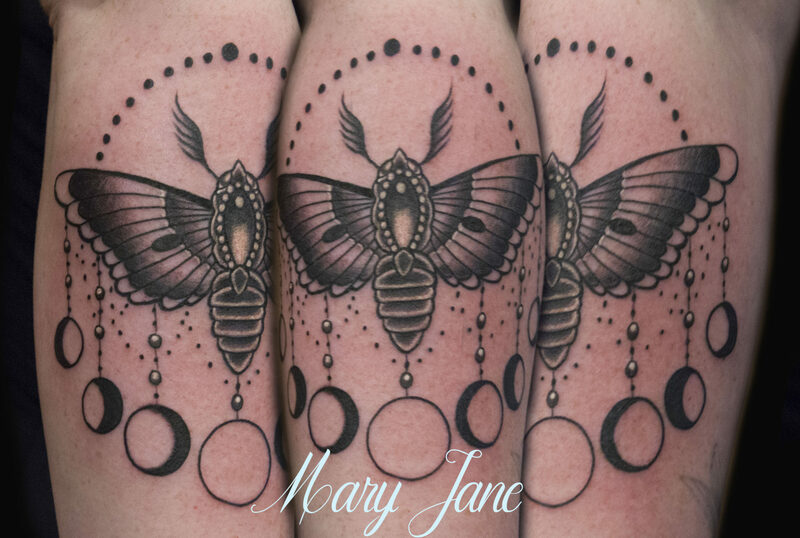 She graduated from her apprenticeship, practicing the fine art of tattooing professionally for 6-years, and truly loves everything about her work and meeting new clients. 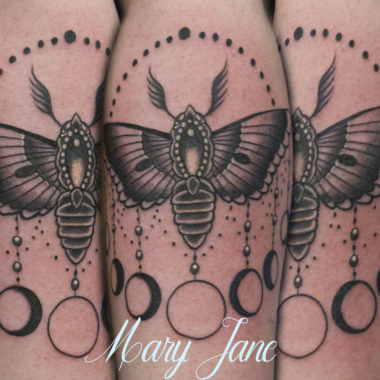 Her favorite style of tattooing is traditional and neo-traditional, although she also enjoys and welcomes the challenges of other tattooing styles. 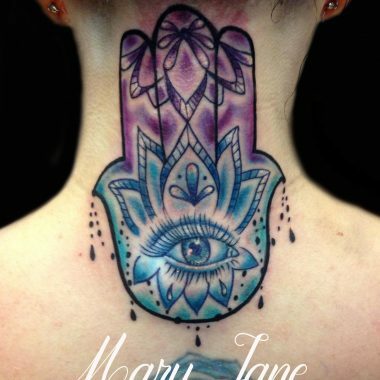 She in known for precise, clean tattoos and her time is highly sought after from return clients. 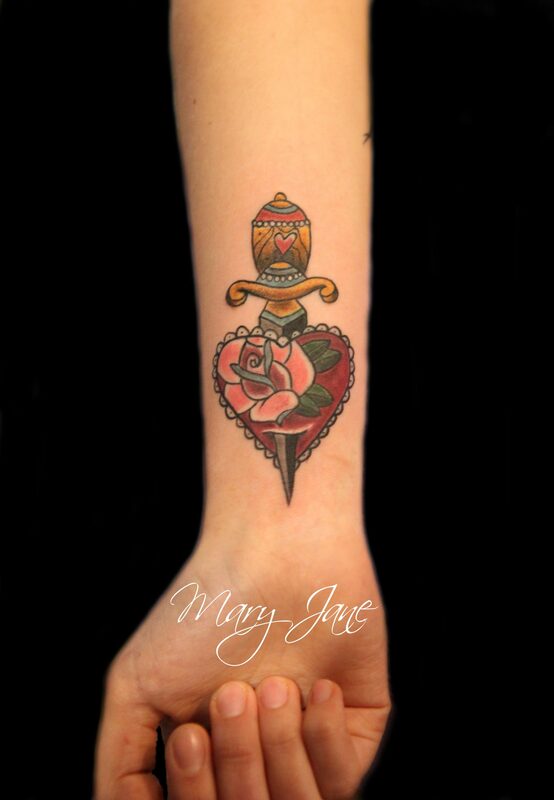 Mary Jane strives to make sure you will be 100% happy with your new work of art. 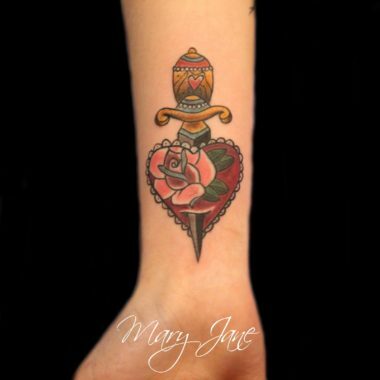 She ensures that with each tattoo, both you and she can feel pride in its outcome.